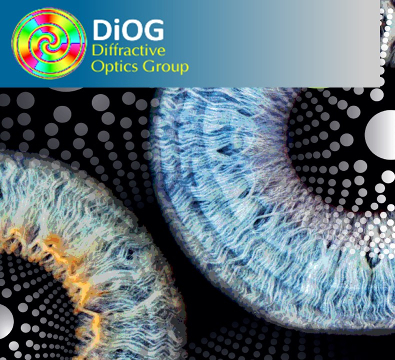 Welcome to the Diffractive Optics Group (DiOG) website. We are an interdisciplinary team of researchers (physicists, ophthalmologists, opticians, mathematicians, and engineers) from the Universitat Politecnica de Valencia (UPV) and from Universitat de Valencia (UV) in Spain..
Our activity is mainly focused on the development of new diffractive optical elements for different applications like intraocular and contact lenses, optical trapping, and optical encryption. Besides of designing, with the experimental availabilities of our laboratories, we can perform the experimental characterization of our prototypes by means of optical techniques. The DiOG has established successful links with industry, and other research groups. Current financial support is mostly from public organizations and Industry. In this site you can find extensive information about the research activities of the group, publications and laboratory facilities..